Improve transit travel times and reliability on the Geary corridor. Attract new riders to stem and reverse the citywide trend toward transit mode share loss. Re-balance the street to better serve transit riders and non-motorized travel, while managing traffic impacts. Improve pedestrian safety and access to transit service. 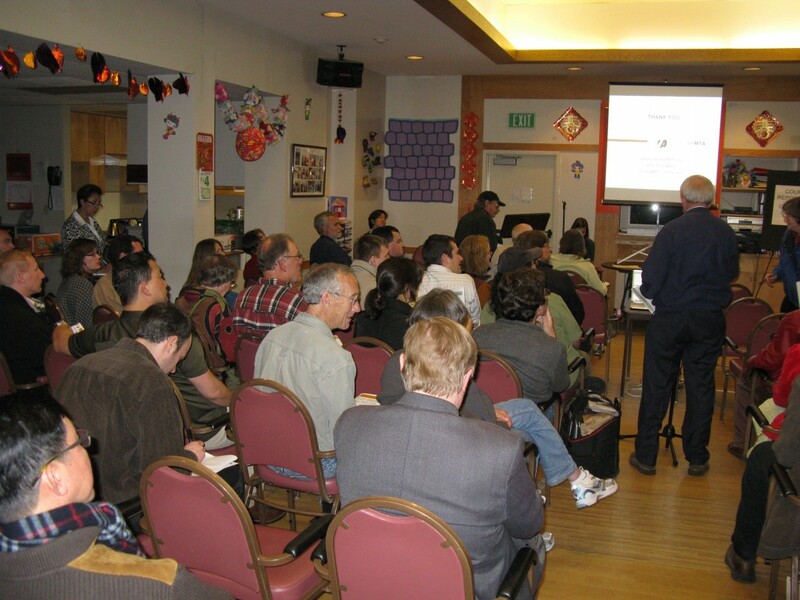 Enhance neighborhood livability and community vitality. Improve consistency with local plans and policies. 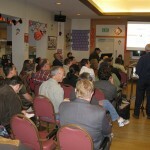 Improve the cost effectiveness of transit operations in the corridor. 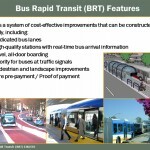 The project seeks to define BRT designs and operations, costs, and potential benefits/impacts for the Geary corridor through the preparation of a combined environmental report (EIS/EIR) that meets the requirements of both the National Environmental Policy Act (NEPA) and California Environmental Quality Act (CEQA) and an Alternatives Analysis (AA) that meets Federal Transit Administration (FTA) requirements. 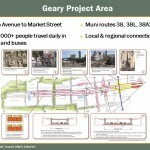 The Geary BRT project is focused on the most congested portion of the corridor – between Van Ness and 33rd Avenues. However, BRT would result in improved service for the full length of the corridor from the Transbay Terminal to the Pacific Ocean. Circlepoint managed the public involvement activities which focused on identifying key stakeholders to engage in community involvement; reviewing, commenting, designing and finalizing initial project communication tools (e.g., fact sheets, multi-lingual materials); conducting scoping meetings; and developing strategies to effectively solicit and communicate community issues and concerns to the project team throughout environmental review and preliminary engineering. Circlepoint was not initially involved in the environmental process, but SFCTA sought our help to invigorate a stalled, multi-year CEQA/NEPA process that fell far short of yielding a draft environmental document. After a period of providing strategic guidance to SFCTA and its environmental consultant, SFCTA hired Circlepoint directly to assume lead responsibility for preparation of the EIS/EIR document. With Circlepoint’s assistance, SFCTA published a Draft EIS/EIR in October 2015. 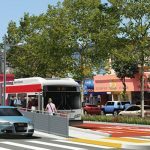 Following nearly 1,000 comments and several minor changes to the project, the SFCTA Board approved a Final EIR in January 2017. By mutual consent, FTA is expected to publish a Final EIS in late 2017.